Maximising efficiency is the cornerstone of cost reduction in all organisations, especially within manufacturing. Launching a marketing campaign or advertising strategy requires complex decisions to be made regarding how you use your digital assets, such as logos and product images. During this process the efficient management of your digital assets is invaluable, they should be easy to find and to make available to those who need them. If your marketing staff are wasting time searching for resources or are using incorrect material, your campaign can be delayed and your customers may begin to look elsewhere. Imagine you are selecting an image for a print marketing drive. You send it to your creative team, they design a brochure and it is sent to print. However, you then discover that the image copyright has expired and the material cannot be used. This has needlessly cost the company in time, effort and financially. Furthermore, if the copyright breach is not discovered before the document is distributed, there may be legal ramifications. Using a DAM system to store licence documentation with your assets and to automate resource archiving can help you avoid this happening to you. Version control can often become an issue when teams work remotely, using and editing a set of assets. If the best or latest version of a file is not found, projects can be late, incomplete or incorrect. Indeed, the project may have to be completely restarted to ensure that the correct assets are used, a further waste of time and money. Using metadata to tag your assets and standardise naming conventions is invaluable in ensuring the right material is located quickly. If your resources are easily searchable and readily available, marketing campaigns can be collated quickly and efficiently, getting the material to your target audience much faster. Many organisations choose to outsource their creative digital media, so need to know they can share assets securely with third parties. Similarly where manufacturing is outsourced, it is essential that correct specifications be shared at every stage of a product's journey, from concept to customer. Consequently organisations should be mindful of how they collate, store and manage digital assets, both for themselves and their clients. Within a DAM system, assets can be allocated to projects and shared only with those working on that task, ensuring utmost security while allowing timely and easy access to digital assets for both client and third party. 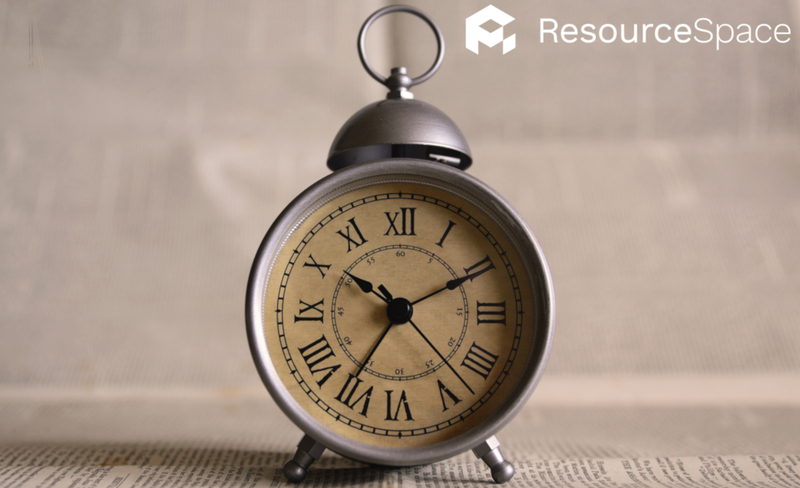 As Franklin said, time is money, so when inefficient asset management impacts workflow, it is costing you. With remote working increasing in popularity, the role of cloud based digital asset management is more vital than ever to make your resources available on demand. Ensuring fast access to your assets prevents delays in moving your product through the manufacture process, enabling timely marketing and streamlining delivery of your product to the customer. If your marketing department does not have fast access to the resources it requires, these assets must either be found, recreated or re-purchased. All this takes time, effort, and costs money, unnecessarily so if these assets are already available within the organisation. Re-use of code, website templates, videos or stock images is far less expensive than their re-creation, so proper logging and management of assets can save your company at every stage of the manufacture process. Your corporate identity in the form of logos, letterheads, colour schemes and marketing imagery are all vital to your branding. Any time these are used or edited you risk originals being altered or overwritten, potentially allowing wrong versions of your brand images to be used. Using your brand asset management system, ensure everyone is accessing and using the same material and preserve continuity for your brand. It is more important than ever to keep your digital assets secure to protect your products and corporate identity, and potentially even your staff. Breaches of security or assets falling into the wrong hands is exceptionally concerning for everyone, and ensuring that digital assets are authentic and authorised is critical to building trust in your company. Any security breach is a serious threat, so using DAM to control and protect your digital assets can save your reputation, your time and avoid legal costs resulting from a breach.